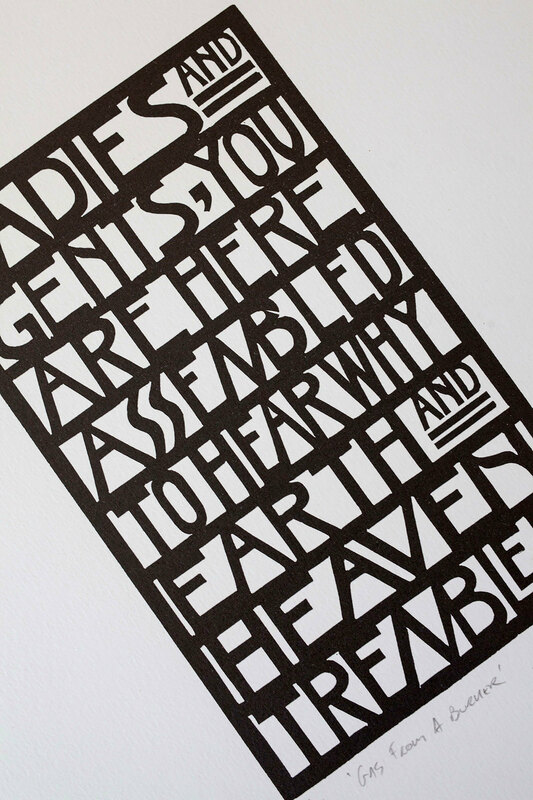 This is a lettering based illustration I produced for James Joyce’s ‘Gas From a Burner’, a made in collaboration with Mary Plunkett at Distillers Press. The illustration depicts the first two lines of the poem. The piece was inspired by the Wiener Werkstätte, a collection of designers and artists based in Vienna (1903—1932) and one of my favourite design groups of the early 20th century. 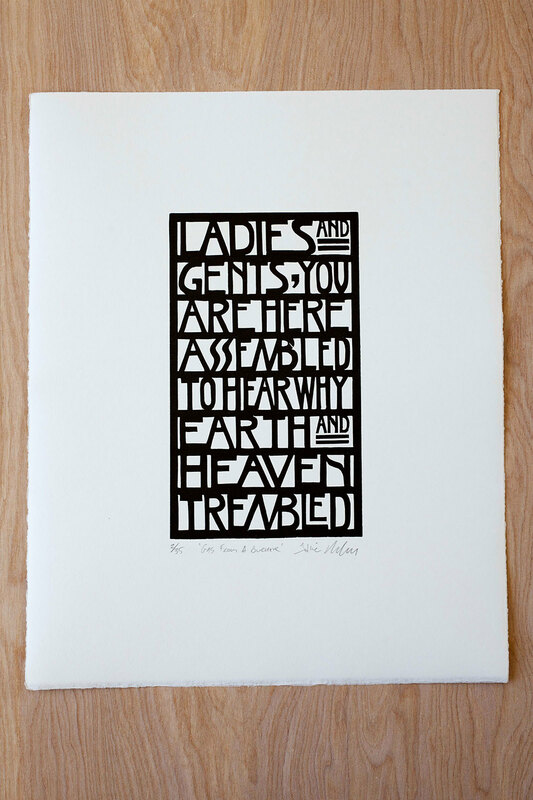 Designed, illustrated and printed from the original linoleum block, September 2012.